There are three ways I could pitch this. First, I could emphasize that there are only three ingredients, which is far fewer than in microwave popcorn. But fewer ingredients doesn’t necessarily mean its any healthier. Second, I could emphasize that this recipe is so simple that a monkey could follow it, assuming that a monkey knows enough about stovetop safety. But let’s be honest, sticking a bag the right side down in the microwave is obviously easier than this method. Third, I could emphasize how cheap this recipe is. 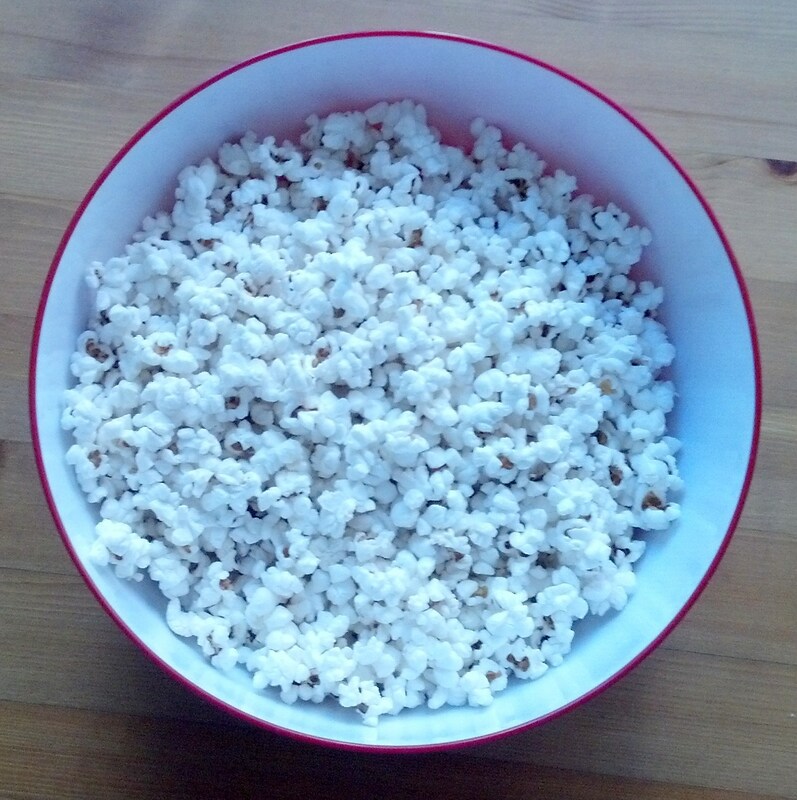 Microwave popcorn is surprisingly expensive. However, unless you eat a lot of popcorn, the difference only amounts to a few dollars. Instead I will just say that this is how I make popcorn and I like it, so you should try it. This is a Smitten Kitchen recipe. Bar review has brought snacking back into my life. First I bought string cheese and fruit leather to eat during our 10 minute lecture breaks (side note: they have cracked black pepper string cheese now – fancy!). Then, slowly, homemade snacks made a return to my life. This was one of the first recipes I broke out. 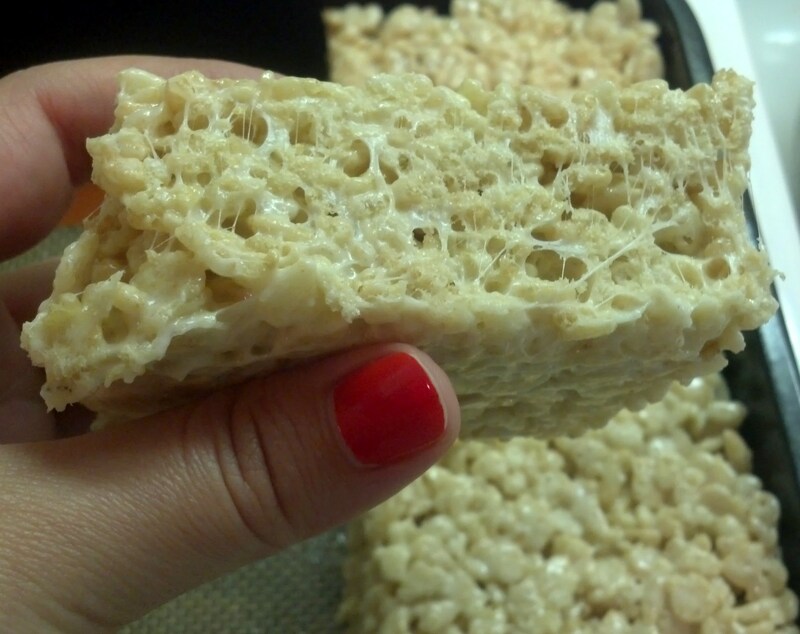 It’s a slightly more sophisticated version of the classic rice crispy treat recipe. It’s basically the rice crispy treat of your dreams. Since making these involves marshmallows, they bring to mind “the marshmallow story.” In third grade, I wrote a report somehow involving the word marshmallow (I have no idea how). My teacher corrected my spelling to “marshmellow.” But I knew she was wrong because I had looked up the word in my dictionary before putting it in my report. So I protested her correction. I was that kid. My parents like telling this story because it shows that I’m diligent or something. I like this story because it reminds me of how to spell marshmallow. This recipe is loosely adapted from Cooking Stoned. 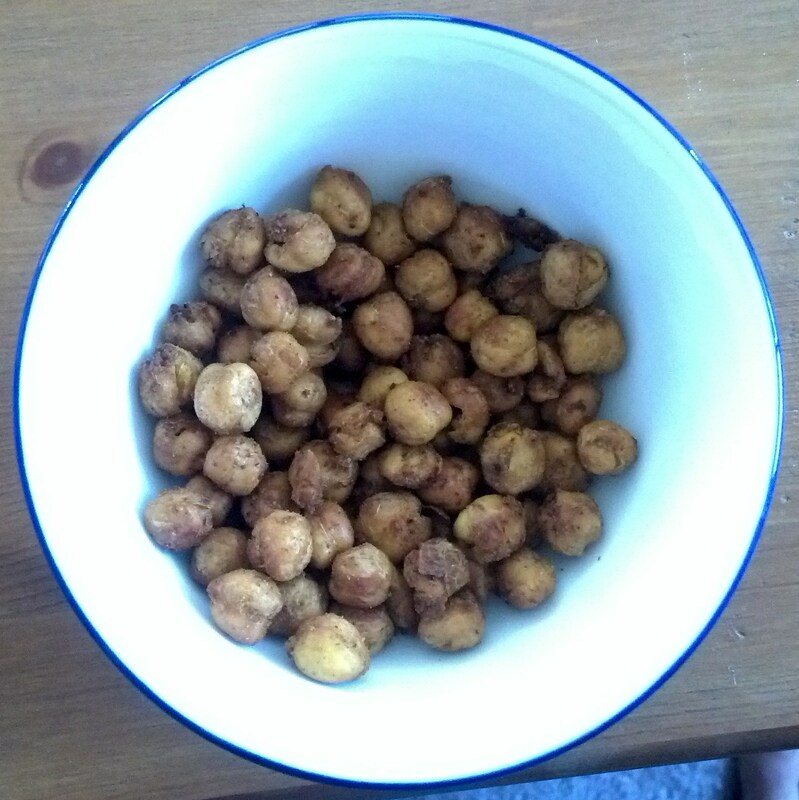 These roasted chickpeas are one of my favorite snacks. I usually have some in an airtight container in my cabinet at all times. I throw them on soups and in salad for a little crunch and eat them plain. In some ways, they’re like an adult version of corn nuts. 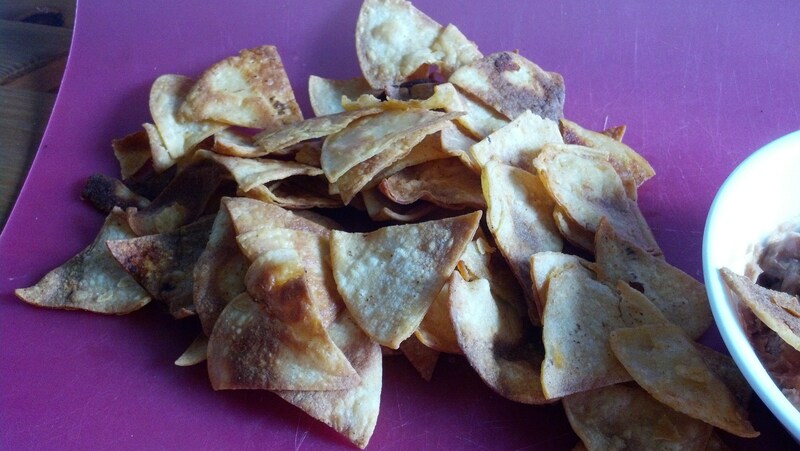 I know it’s kind of insane and not cost-effective to make your own tortilla chips, but somehow I feel less guilty making my own than buying them. And bonus!, they are good. Hi! I’m Cindy. This is my food/cooking blog. Where's the beef? I've been a vegetarian for more than half my life, so all of the recipes featured on this site are vegetarian.